Q: "I have installed the VLC 2.2.0 version, which claimes to have H.265/HEVC support. When I import H.265/HEVC videos in VLC, I hear the audio is playing, but the video freezes at the first frame. Anybody knows why and how to fix?" 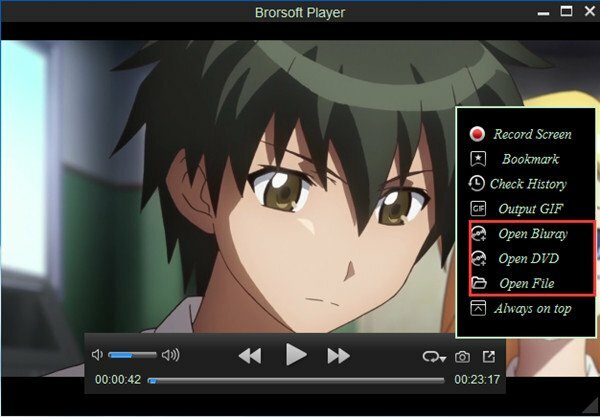 VLC is a free and easy-to-use video player that can play various video formats as well as DVDs, Audio CDs, VCDs, and various streaming protocols. However, when surfing online, there're still lots of VLC and HEVC playback issues like: VLC can't play the video format in H.265/HEVC; VLC plays HEVC/H.265 files no video, only audio playing, etc. So, in this article, we will share three positive ways to fix VLC not playing HEVC/H.265 codec videos. Read on for more details. When you try to import H.265/HEVC video to VLC, you may get error message like "No suitable decoder module: VLC does not support the audio or video format "hevc". Unfortunately there's no way for you to fix this." VLC should now play these media files after installation has been completed successfully. Several issues that existed in previous versions of VLC might be fixed via VLC 3.0.0 nightly build. Then save, exit and restart VLC. Now it will work pretty fine with a 8K/4K HEVC video. The third solution for you is to find a good H.265/HEVC Video Player and best VLC alternative to play H.265/HEVC videos. Here, Brorsoft Player is the all-in-one and best H.265/HEVC video player with recording fuction for your Windows PC and Mac. It supports 4K Ultra-HD and HEVC/H.265 Videos perfectly, you don't need to download extra codec (encoder or decoder) or a plug-in, and play 4K/8K/HD MKV, MP4, MOV, AVI, etc videos encoded with H.264, H.265, MPEG-4 on PC/Mac smoothly. What's more, this prefect video player also supports Blu-ray/DVD discs playback in any region without hassle.